Through the magic of blog makeover reveals it may seem like I can get a lot of things done fairly quickly. But sometimes a room can take me quite literally months to pull together. That’s the case with my master bedroom. There was a lot of little furniture projects I had to do to pull this room together. And being a bedroom is not really something that is necessarily on display I wasn’t really rushing myself to get it done. Its not that I wasn’t excited. 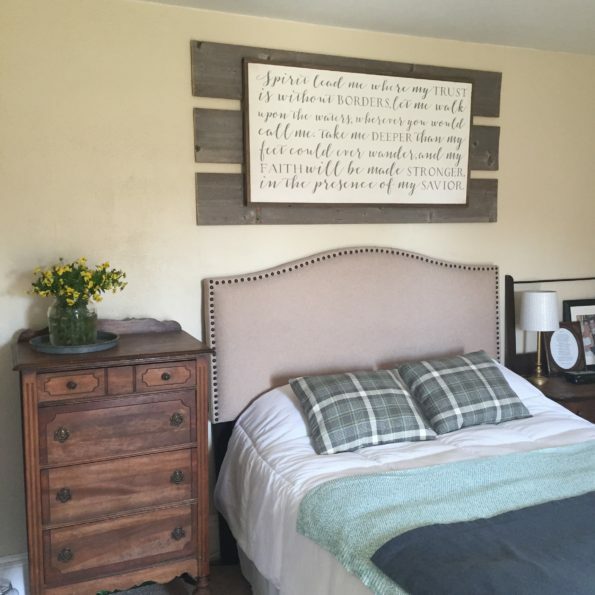 Ever since our first home together, I have been trying to get our master bedroom just right for us but I just never felt like I was nailing it. 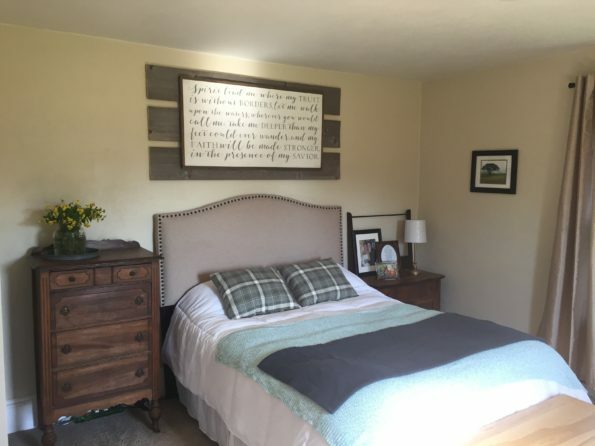 Like you always hear on the home renovation shows, I was looking to create “a retreat” for my husband and I – although with 4 kids I have to admit there is not many places you can “retreat” to that they won’t find you so I rarely get to spend much time in my bedroom. 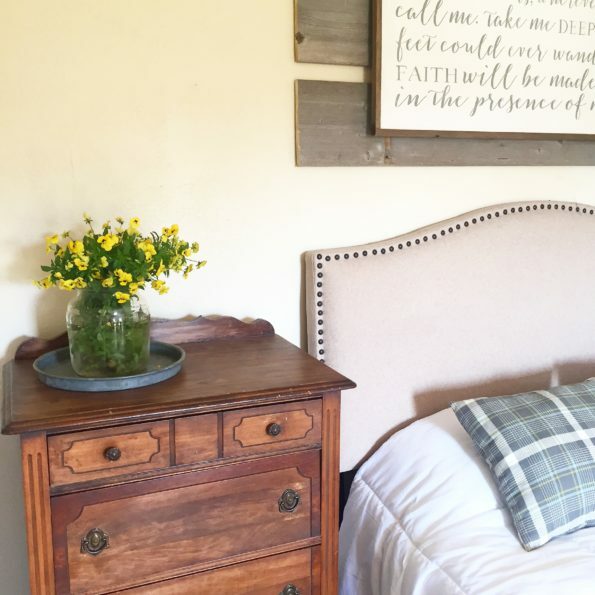 Never the less, I thought it would be ever so nice to have a pretty space to look at even if its just when I am being woken up for the umpteenth time by a child, that for the love of all that is holy in this world, just won’t stay in their own bed. 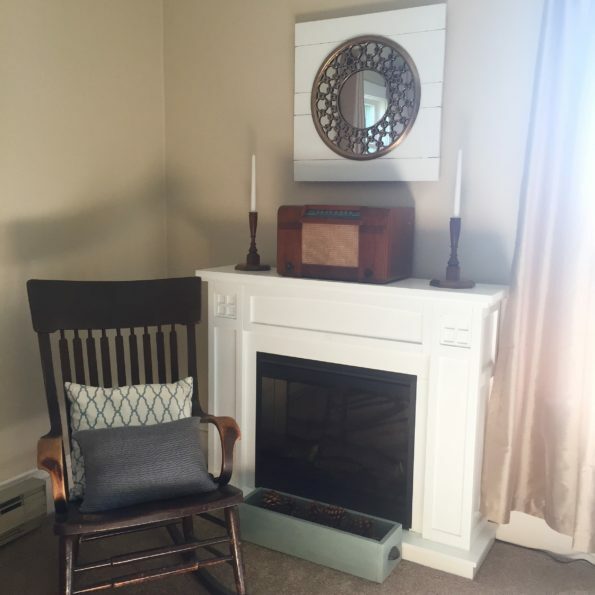 As per usual with this makeover I was looking to add as much character as possible with very little money. What better way to do both these things then with a whole lot of old furniture and a few new items sprinkled in. One of the most favorite parts about my bedroom is the size. Its pretty big. I’ve never had a big bedroom before so its quite the treat to have some flexibility with the items I can fit in it. 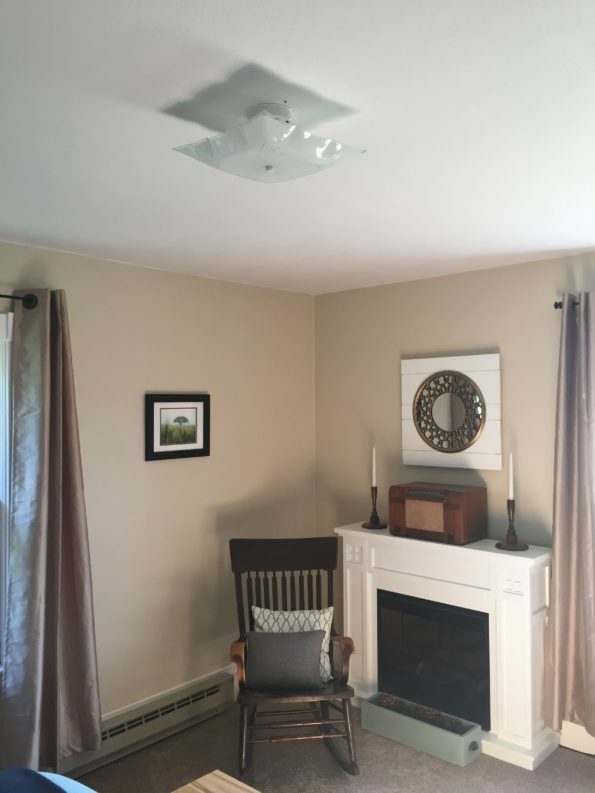 One of those items is an electric fireplace! You see in our old home we had bought a fireplace for our basement to keep the chill at bay and make it cozy. When we moved here we really didn’t have a spot of the main floor for a second fireplace and so to our room it went! 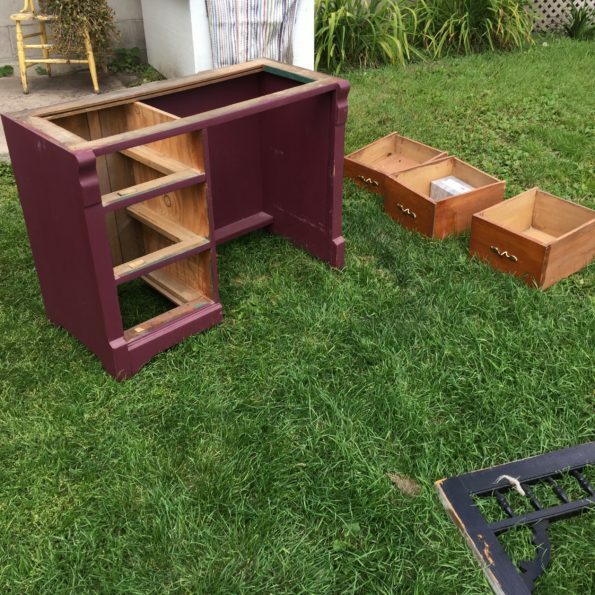 Even though it was really pretty as is, the stain color wasn’t really jiving with the rest of my antique pieces I was planning to use so I decided to give it a coat of white paint. It looks so pretty paired with another piece that is so special to me, my Grandma’s old rocking chair. The radio came out of my grandma’s house too and I love the old world charm and warmth of the wood. The candle stick holders were passed down to me from my mom who got them from her mom. They were made the from banister of her great grandma’s house. Love the history! Oh and quick story in case you don’t follow my instagram. 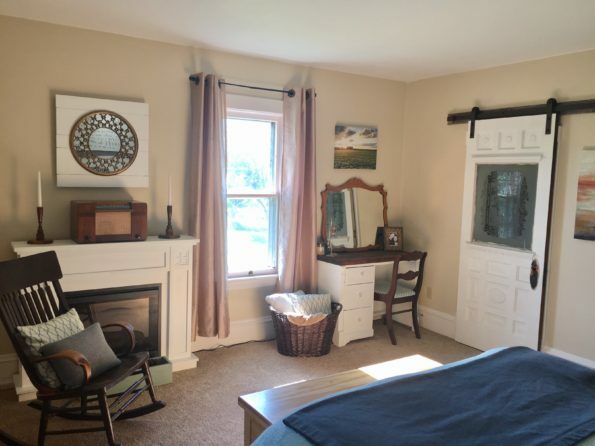 That mirror above the fireplace actually had a black plastic frame. Well one night it decided to come crashing down at about 3 am. My husband jumped out of bed at the sound and yelled “what was that!? !” I sat up in bed looked at the sight and replied “oh its just the mirror” completely calm and went right back to bed. Apparently unless a kid is crying (at which point I am the one jumping out of bed at a mere whimper while my husband doesn’t hear a thing) , my house can fall down around me and I don’t care – I just want sleep! So anyways I ended up salvaging the mirror that thankfully didn’t break and the gold piece and mounting them on some boards I painted white as my ode to shiplap. 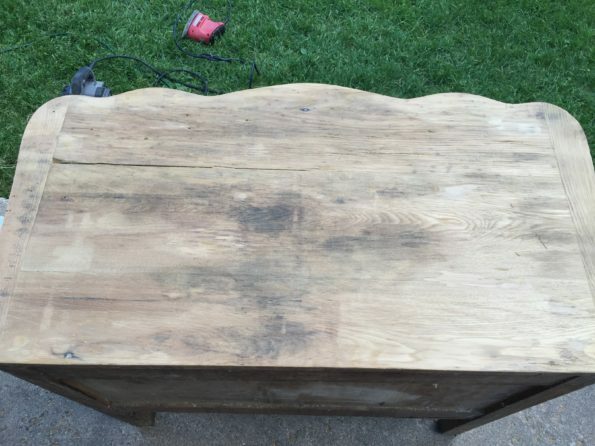 Next piece I needed to paint was a desk my mom scooped up for me last year at a moving sale. It was purple and had an insanely heavy, stained up slab of marble for the top. I decided to paint it white as well and make a new top of stained boards to give it a pretty contrast. I also put new fronts on the drawers so I could add glass knobs. The new fronts were necessary because the old hardware holes were completely off center and driving me nuts! I then set a mirror on it that my mom had gotten at the same moving sale and now I have the cutest vanity area. 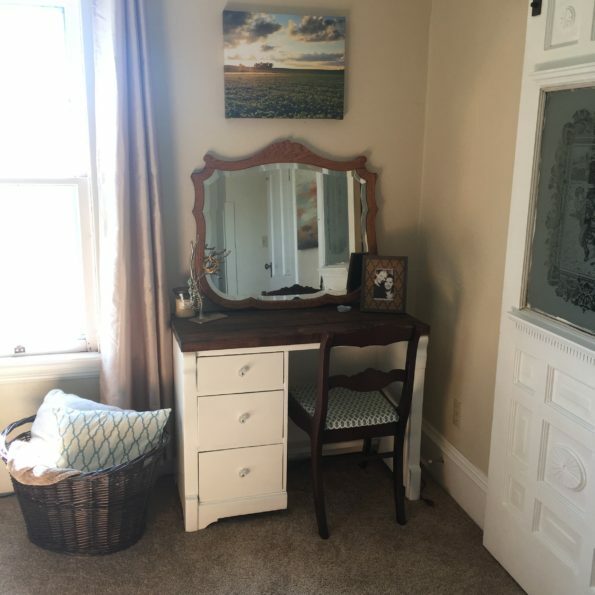 I decided a makeup vanity area might be nice as we only have one bedroom and as my kids get older I know bathroom time is going to come at a premium! You might also notice the chair I redid last summer found a new home. It compliments the desk beautifully. 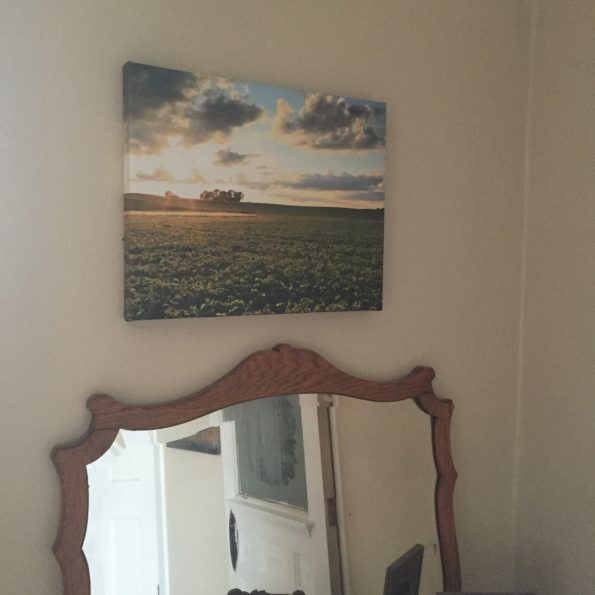 My favorite part might be this beautiful sunset picture my husband took though. I had it made into a canvas and it just makes the whole spot happy when I look at it! Up next on my list was a door. 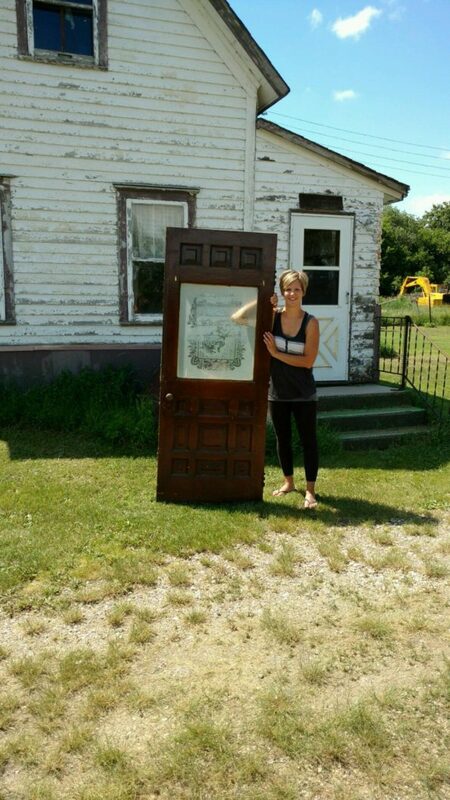 I had salvaged a beautiful door from my grandma France’s house. Here’s pictures of the front and back. 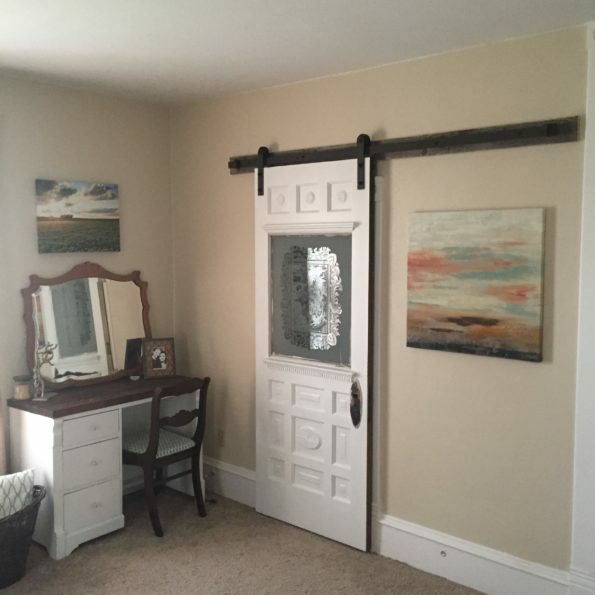 I had been trying to think of a place to put where it would be safe from little hands and came up with the idea of hanging it barn boor style on my closet. 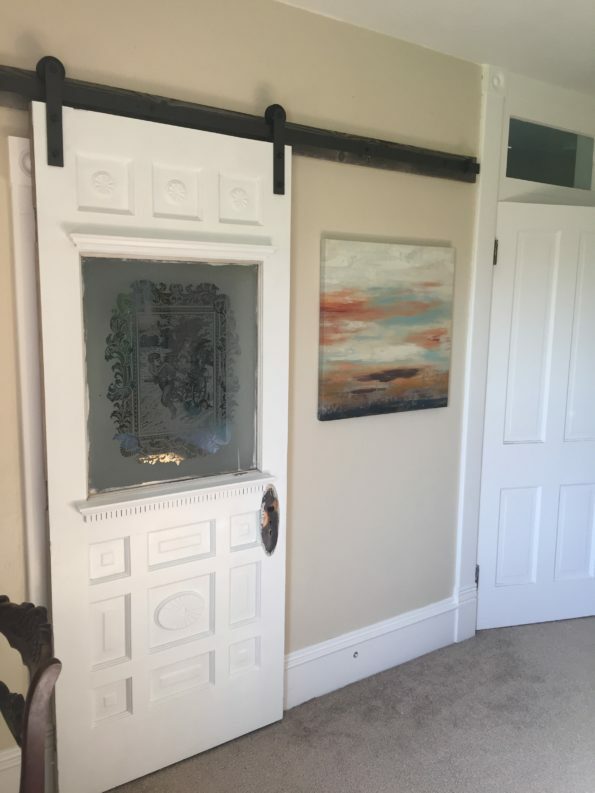 We are so lucky to have walk in closets in our old home and they have these neat smaller doorways that have custom made doors to match so I almost felt guilty taking one down but I love how it turned out. 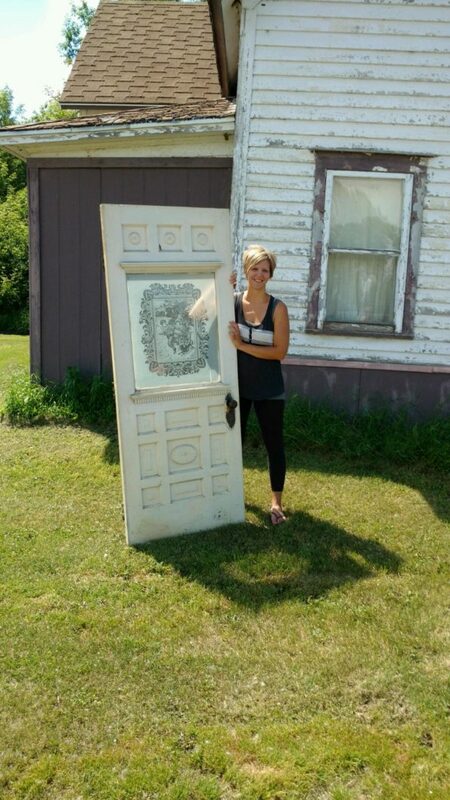 And if down the road someone wants to put the original door back on I will make sure it is stored safely. And here’s one more picture of that side of the room. Taking you over to the other side of the room we have one more piece of restored furniture. 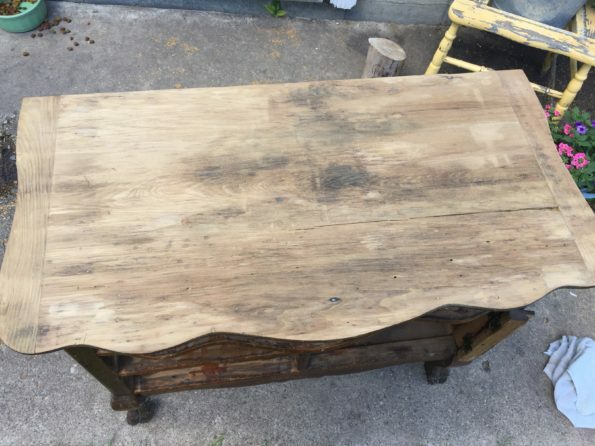 I found this cute little table/stand that was looking pretty rough at – you guessed it, my grandma’s house (aka s my furniture store). The top had gotten water damage and was badly weathered and the front door was busted. 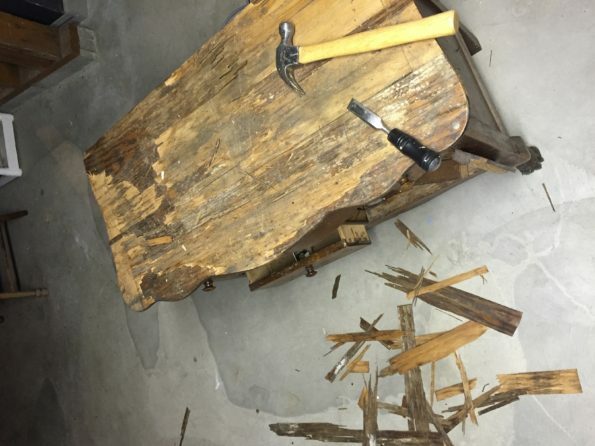 But after some scraping, a lot of sanding, some wood glue and a few new nails…. We were back in business! 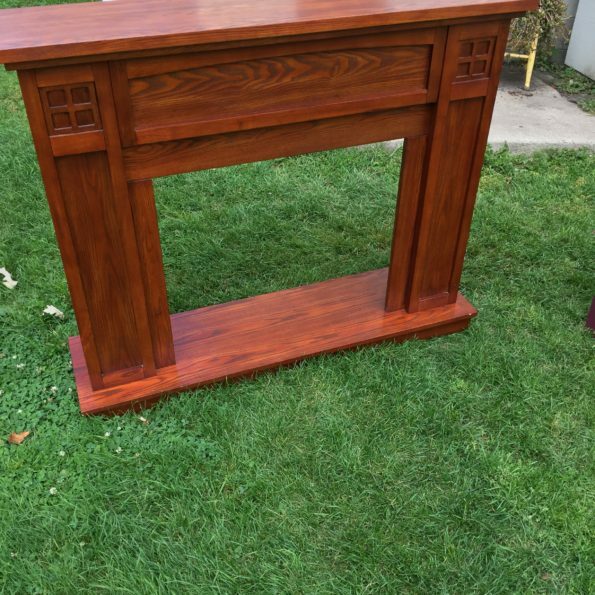 Now I have a gorgeous nightstand table. 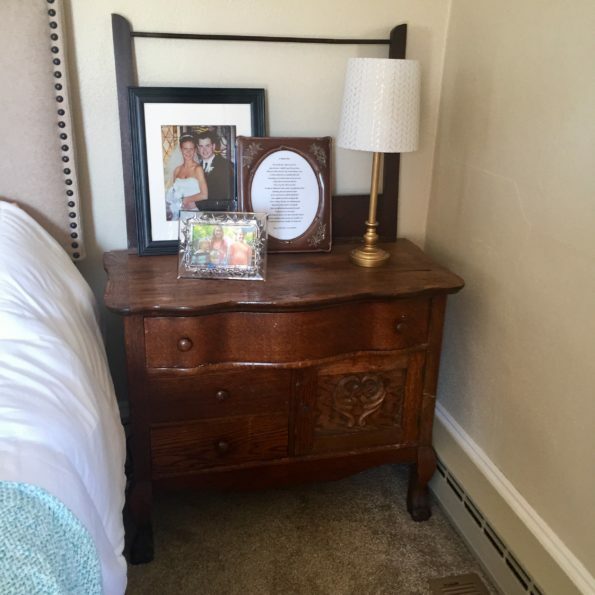 I flanked the other side of the bed with another family heirloom dresser passed down to me by mom. 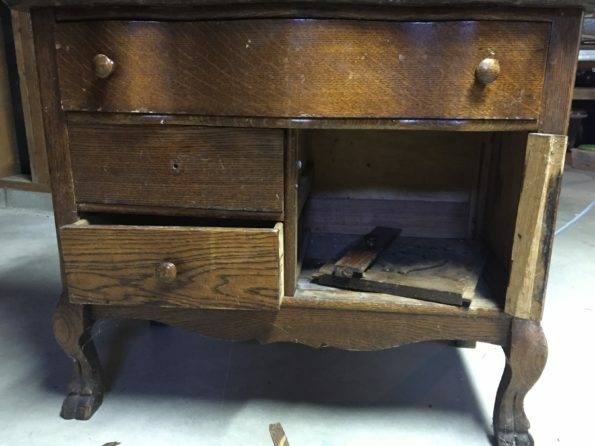 The vase and tray on the dresser is actually part of an old chicken feeder! Above the bed I added one of the few things I bought for the room. 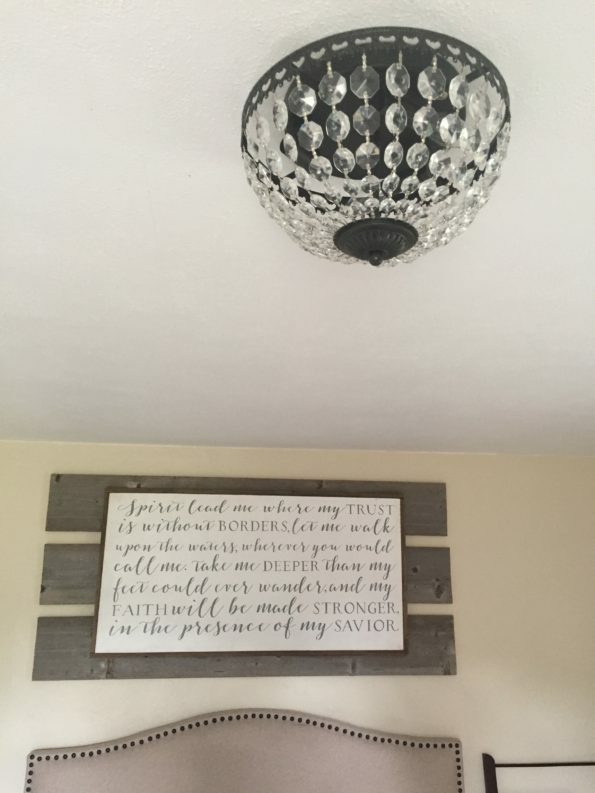 A gorgeous sign I bought from a talented maker called Salted Words off of Etsy. To help make it a focal point I beefed it up by mounting it on some old weathered truck bed boards. Last I decided to replace the light fixture. I always thought it would be luxurious to have a chandelier in a bedroom however I don’t have the ceiling height for that. So I found this flush mounted crystal light that make me all heart eyes because I’m total sucker for things that sparkle. Give me all the glittery sparkly things! Sidenote: the first website I found this light fixture on was a higher end store and was a bit more than I wanted to spend. 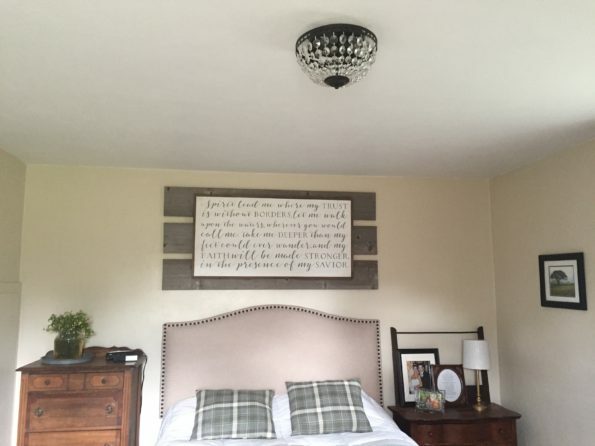 As luck would have it I ended up finding almost the exact same fixture through Overstock.com on sale for $80. Woohoo! So that’s my bedroom! I love the mix of the old and new, of the barn wood and crystals. There’s no place I would rather be woken up at 1 in the morning by a child who can’t get back to sleep and at 2:30 by another who has to use the bathroom and by 4:00 by one who’s had a bad dream and at 5:00 by….well you get the picture. Sweet dreams (or as we more appropriately like to say around here before bed Good Luck!) everybody! Heather you have done it again. The bedroom is just fantastic. Love you. Your bedroom looks so nice a very special place to use as a retreat. You are so talented…. any rooms left to do?